Poker time? EasyPoker lets you play multiplayer poker with your friends - anytime, anywhere. Designed for the true live poker experience. No deck of cards? No chips? No problem. All you need are your phones! Sometimes you just wanna play some poker with your friends. But what if you don't have a deck of playing cards or chips with you? Maybe you're out camping, at your neighbour's cat's birthday party or on a train ride to a certain school of witchcraft and wizardry? 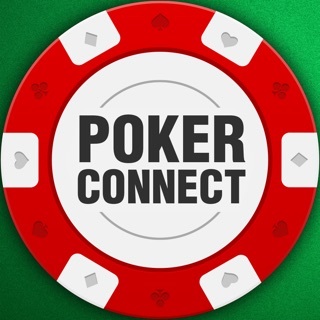 Our app brings together the best of digital poker and traditional live face to face poker. Now you can play F2F poker with your friends, without having to bring a poker set with you at all times. Imagine playing a game of multiplayer poker around the campfire, at the beach, the bar, the park, in the train, while waiting for food in the restaurant, when skydiving - Really, it’s only limited by your imagination. You and your friends just need the free EasyPoker app on your phone and we’ll take care of the rest. Why choose between the social experience of real life live poker and the convenience of digital hold’em poker? We’ve combined the two! EasyPoker is not your classic texas hold’em app. We are not a betting platform or an online casino. We don’t facilitate the betting of real money. In fact we don’t use play money or chips of any kind. Just create a game and you are ready. Instead, we think of EasyPoker as “just” a digital poker set - one that fits right into your pocket. 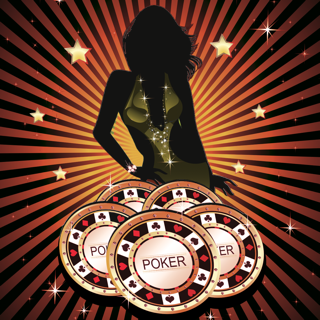 EasyPoker is designed to simulate the experience of live poker. This means that you don’t have to compromise - even if you don’t have a physical poker set with you. EasyPoker’s mission is not to replace the physical poker set - if you have a deck of playing cards and poker chips at your disposal, then by all means, use them. We would. Instead our purpose is to facilitate the same social experience of face to face poker, when you’re not around your classic poker set. We also eliminate the need for a physical table, which is handy if you’re playing around, say, a campfire. EasyPoker is meant to be played live, and in the presence of good friends. At its core, poker has always been a social experience, and we think it is best played face to face. Reading your opponents face is a big part of the classic game and we think this part is often lost with traditional online poker. After all, it’s called a “poker face”, and not a “poker avatar”. EasyPoker is a relative small but fast moving team. We’re constantly testing and trying to improve our app and the experience of digital face to face poker. Therefore we’d love to hear any suggestions and wishes you might have. You’ll find a neat suggestion box on our website https://easy.poker/. With a premium subscription you can play up to 12 people at a table, edit stacks, blinds, increasing blinds and accept rebuys. Please notice that EasyPoker does not include any kind of real money gambling features. If you choose to purchase EasyPoker Premium, payment will be charged to your iTunes account, and your account will be charged for renewal within 24-hours prior to the end of the current period. Auto-renewal may be turned off at any time by going to your settings in the iTunes Store after purchase. Current EasyPoker Premium subscription price starts at $9.99 USD/month, and one-month, 6-month and 12-month packages are available. You're now able to edit blinds, edit stacks, create tables with up to 12 poker players and even rebuy with a single swipe! We call it EasyPoker Plus and it has all the extra features you've been asking for! We FINALLY added the much requested email login, increasing blinds, the possibility to rejoin a table after leaving and much more. We also worked on the UI and general performance to optimize your multiplayer poker experience. Best app idea ive ever came across. Me and the homies tryna play poker. Me and the homies live mad distance. Me and the homies download this app and now were all playing poker against eachother. No dumb bots or fakes. Spread the word this app needs to be known.